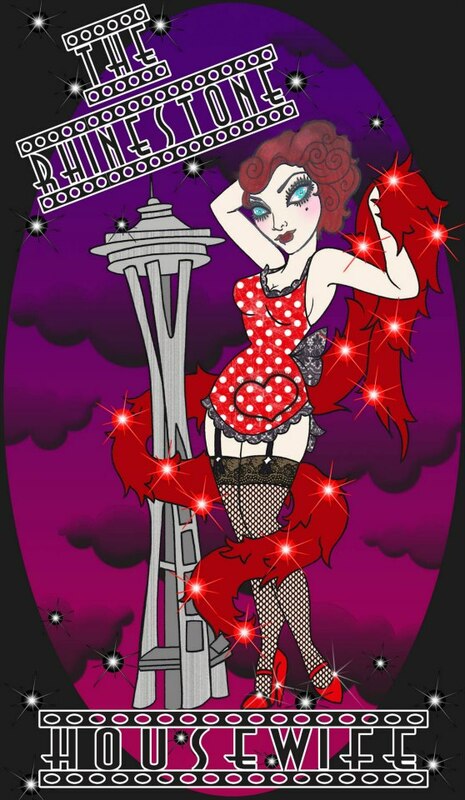 Villainess is always doing something new and exciting and this update is no exception. 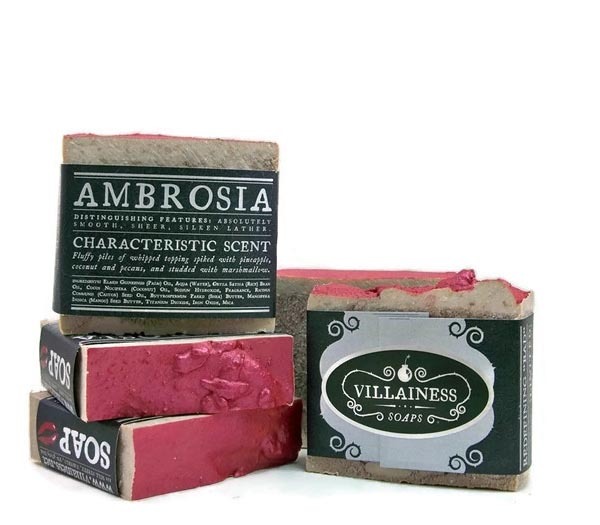 There are five fabulous new soaps that we’re happy to present at The Rhinestone Housewife, available only while supplies last. Ambrosia Soap-Fluffy piles of whipped topping spiked with pineapple, coconut and pecans, and studded with marshmallow. 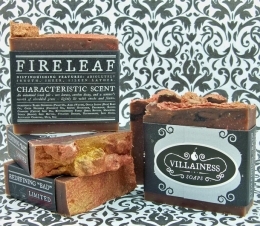 Fireleaf Soap-An autumnal brush pile – sere leaves, earthen decay, and a summer’s worth of shredded grass – lightly lit with smoke and flame. 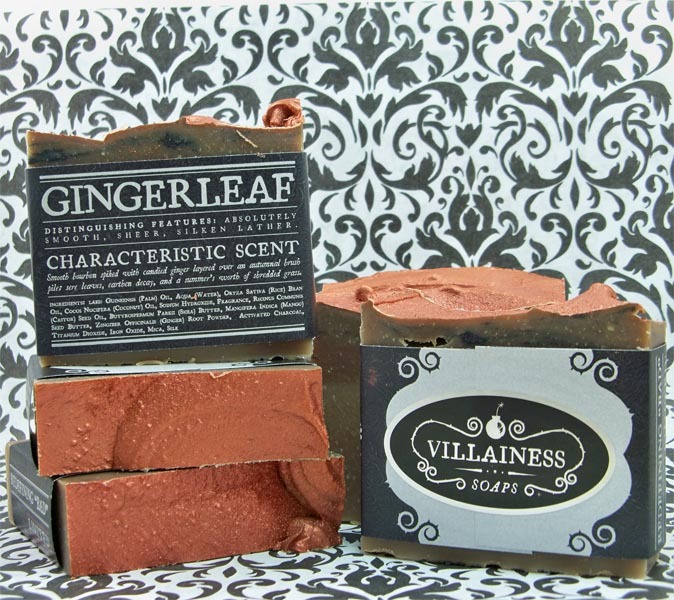 Gingerleaf Soap-Smooth bourbon spiked with candied ginger layered over an autumnal brush pile; sere leaves, earthen decay, and a summer’s worth of shredded grass. 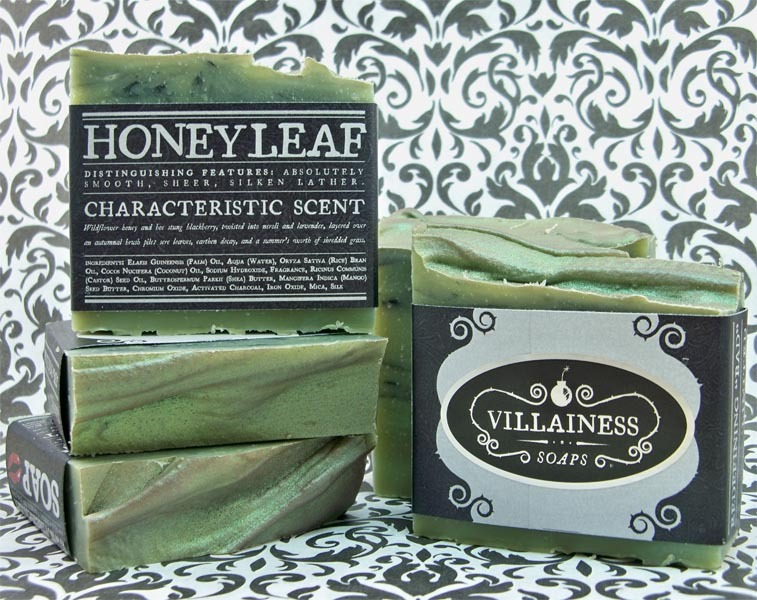 Honeyleaf Soap-Wildflower honey and bee stung blackberry, twisted into neroli and lavender, layered over an autumnal brush pile; sere leaves, earthen decay, and a summer’s worth of shredded grass. 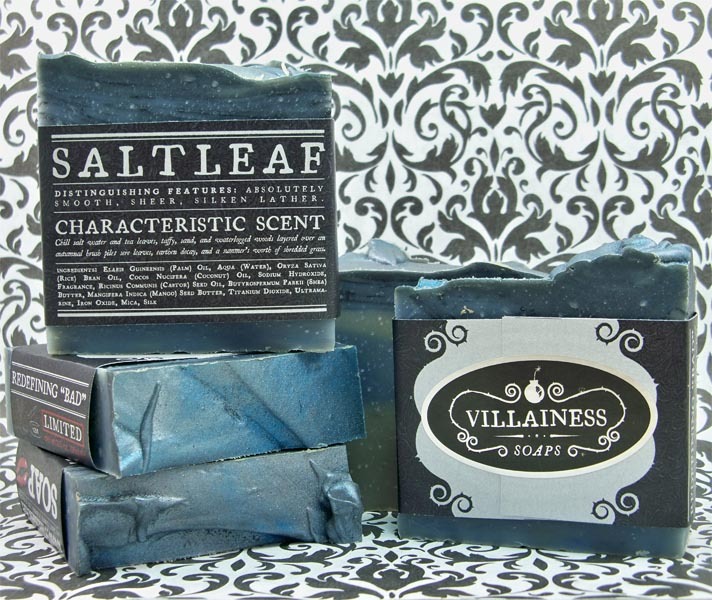 Saltleaf Soap-Chill salt water and tea leaves, taffy, sand, and waterlogged woods layered over an autumnal brush pile; sere leaves, earthen decay, and a summer’s worth of shredded grass.